Lock in a great price for Villa Paroraia – rated 9.8 by recent guests! 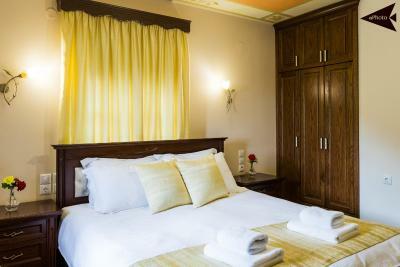 Extremely clean rooms, and the owners would do anything to please you and your needs. 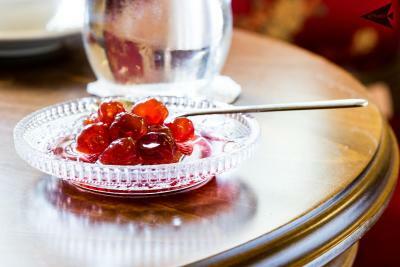 We really enjoyed our time at Villa Paroraia! The guesthouse is beautiful and the hosts Maria and Dimitris are incredibly sweet and generous people, they made us feel like family. They lent us umbrellas and gave us advice and snacks for our excursions! Our room was extremely clean and very comfortable, great bathroom, and wonderful homemade breakfast! 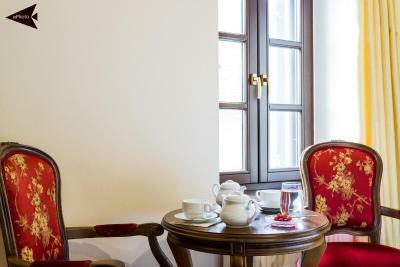 Even when there were other guests about the place, our room was still very quiet and relaxing. We highly recommend staying here. Thank you Maria and Dimitris! 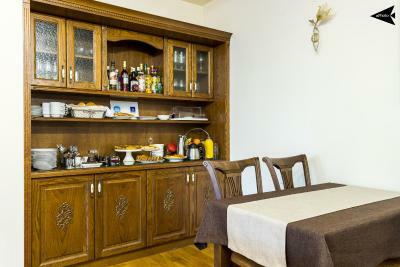 Maria and Dmitry are very sweet and hospitable. They do their best to make you feel at home. 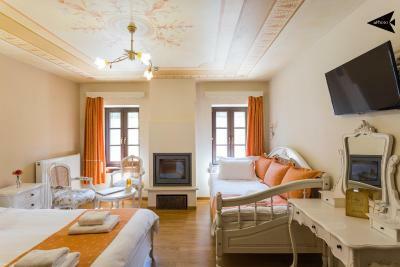 The entire place has been entirely renovated so the rooms are beautifully decorated, the shower is an absolute treat, the bed is like a cloud and the breakfast they serve has several options including many vegetables they grow themselves and home-mades jams. 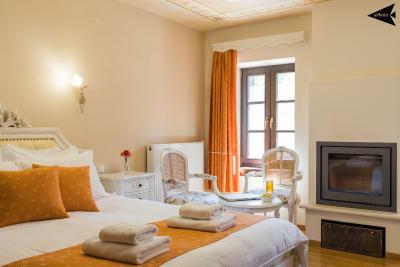 We had a great time there and absolutely recommend staying there. The bed is amazing. 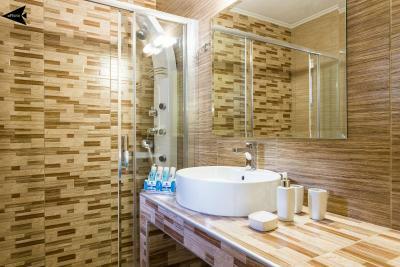 The bathroom is amazing. The decoration is so romantic. Mrs Maria and Mr Dimitris are amazing! Free parking. 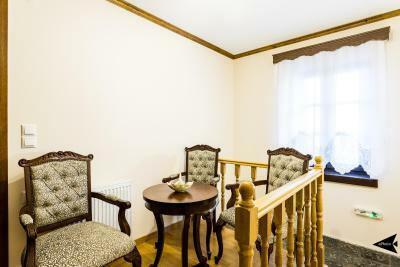 Exceptionally clean room and bathroom with toiletries and hair-dryer. 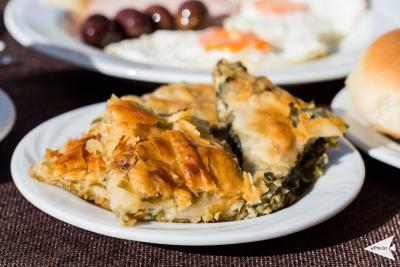 Breakfast was various and tasty with homemade pies, jams, eggs, salamis, cheese and vegetables. Hosts are very kind. They speak English poorly, but they try their best. They are present at the reception all day, until midnight. 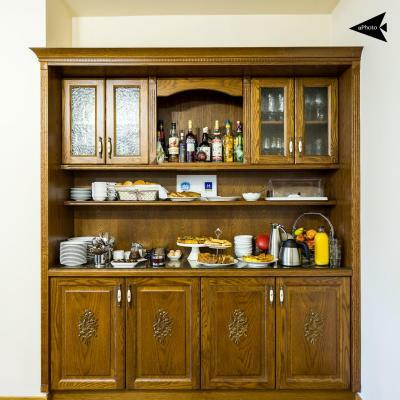 The reception desk is in the room that serves as a living and dining room in the same time. Parking place is available near the site. 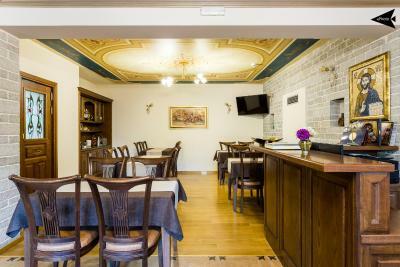 Excellent place with excellent service of the owners! Mr Demetres and ms Maria make all in their own! Excellent experience!! 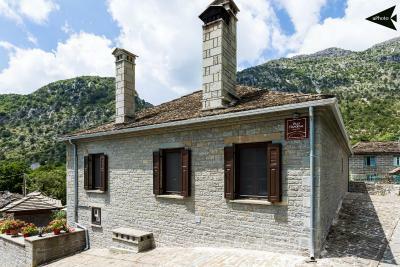 You should visit villa Paroraia! Beautiful Hotel! Seems to be the best one in the town. The owners are a lovely couple and they are extremely(!!!) generous and kind. Not clear how the price could possibly be so low. Comfortable room. Kind owners. They were helpful in coordinating transfer for our next destination. Πολύ όμορφο δωμάτιο, πολυ ωραία διακοσμημένο και πεντακάθαρο. Είναι ακριβώς όπως φαίνονται στις φωτογραφίες και ακόμα καλύτερα. Πολύ αναπαυτικά στρώμα-μαξιλάρια, μεγάλο καινούριο μπάνιο. Το πρωινό πολύ πλούσιο, για όλα τα γούστα και κάθε μέρα διαφορετική σπιτική πίτα από την κα Μαρία. Σπιτικές μαρμελάδες, γλυκά του κουταλιού, κουλουράκια όλα υπέροχα και χειροποίητα. Πολύ ευγενικοί οικοδεσπότες και μας βοήθησαν πάρα πολύ να εξερευνήσουμε την περιοχή με χάρτες και οδηγίες για τα μέρη που επισκεφτήκαμε. Ευχαριστούμε πολύ για όλα, ελπίζουμε να μπορέσουμε να έρθουμε ξανά και να δούμε τα Ζαγοροχώρια και μια άλλη εποχή του χρόνου! 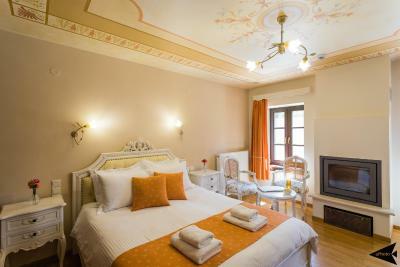 Villa Paroraia This rating is a reflection of how the property compares to the industry standard when it comes to price, facilities and services available. It's based on a self-evaluation by the property. Use this rating to help choose your stay! 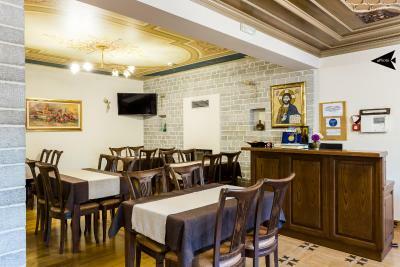 One of our top picks in Tsepelovo – and a guest favorite. 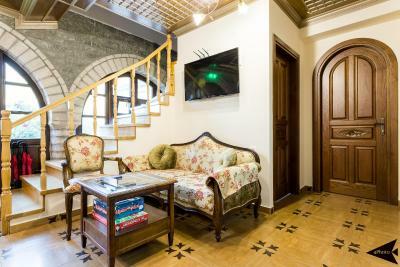 Centrally located in Tsepelovo, the stone-built Villa Paroraia is set in a restored 18th-century mansion and features a bar. 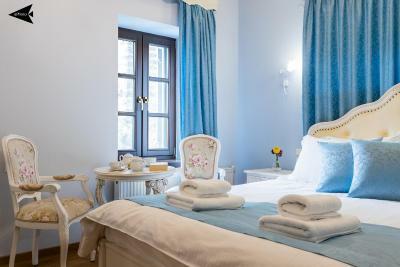 It offers stylish rooms with free WiFi and serves a traditional, Greek breakfast. 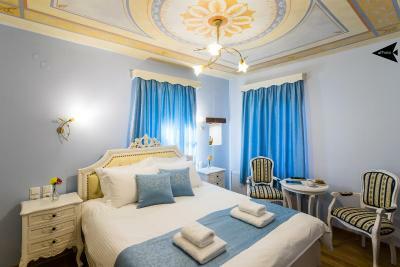 Featuring oak floors, ornate ceilings and elegant decoration, all rooms at the Villa Paroraia provide Coco-Mat mattresses, pillows and linens. 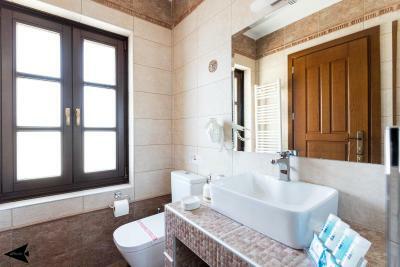 Each has a seating area with TV and a stylish bathroom with spa bath or hydromassage shower. Some rooms have a fireplace. 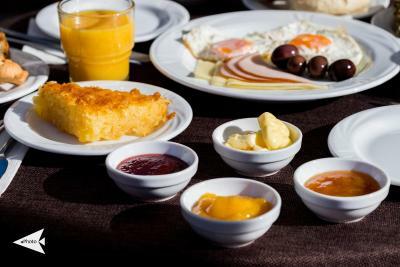 A traditional breakfast including homemade jams, rice pudding and bread, as well as local honey, eggs and milk, is served in the dining area or the garden. 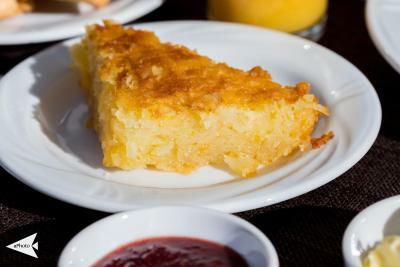 Guests can also enjoy traditional, savory and sweet pies, such as cheesepie and orange pie. 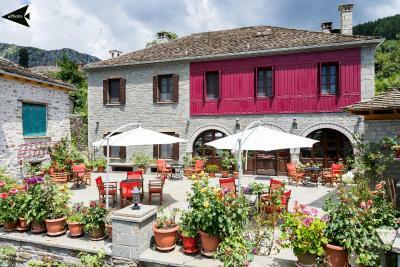 Tsepelovo village is located 30 mi from Ioannina. The central village square is only 350 feet away from the property. 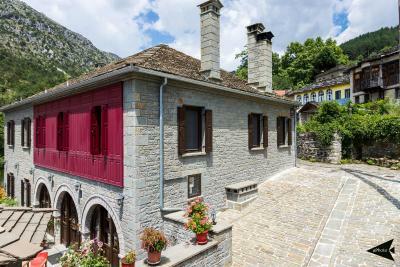 Guests can visit the 18th-century church of St. Nicholaos, featuring impressive paintings. 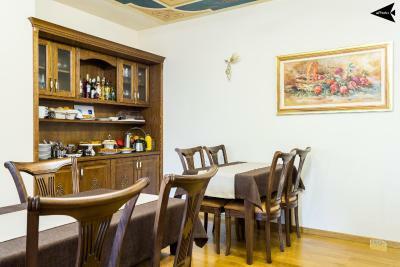 This property is also rated for the best value in Tsepelovo! Guests are getting more for their money when compared to other properties in this city. 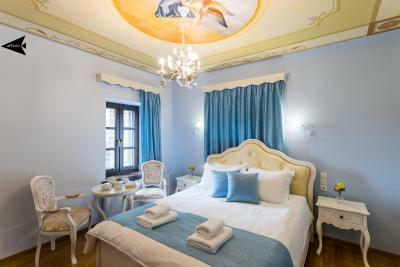 When would you like to stay at Villa Paroraia? 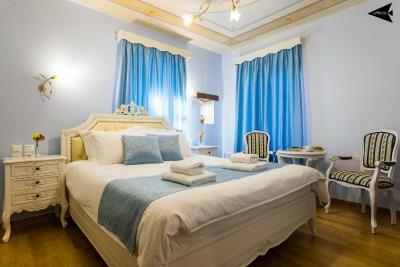 Centrally located in Tsepelovo, this stylish room offers free WiFi and Coco-Mat mattresses, pillows and linens. 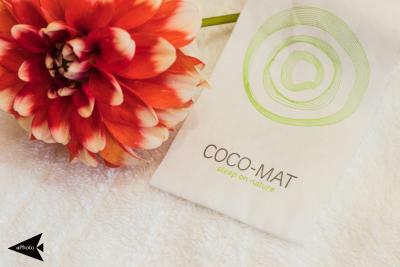 Includes spa bath or hydromassage shower and free toiletries. 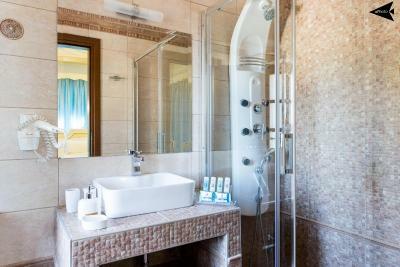 Includes hydromassage shower and free toiletries. 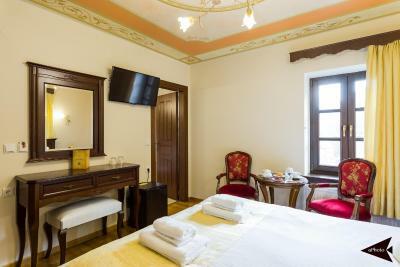 Centrally located in Tsepelovo, this stylish room offers free WiFi and Coco-Mat mattresses, pillows and linens. 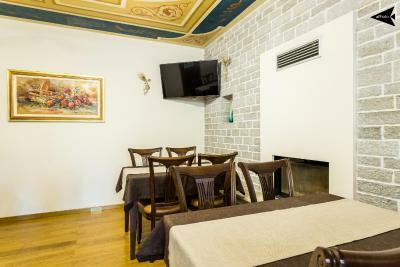 A fireplace is also available. 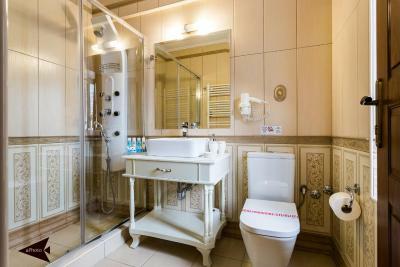 The bathroom is fitted with a bath and free toiletries. 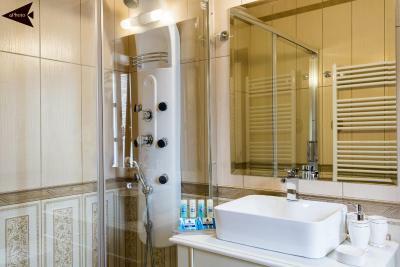 Includes a hydromassage shower and free toiletries. 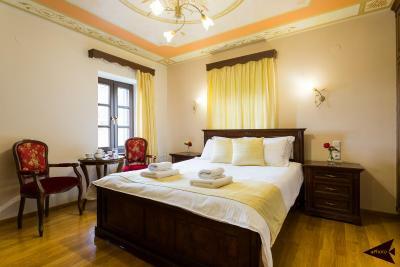 The guesthouse is housed in a fully reconstructed 18th-century mansion. 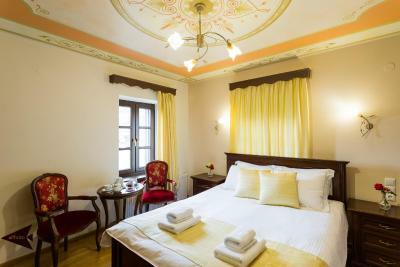 It consists of 3 double and 3 triple rooms. 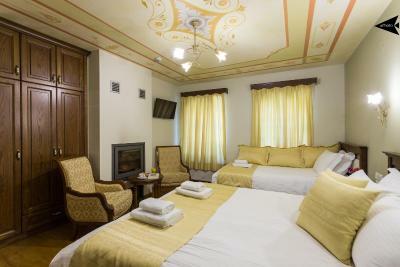 All rooms have ceiling paintings, organic and hypoallergenic matresses and beddings by Coco-Mat. 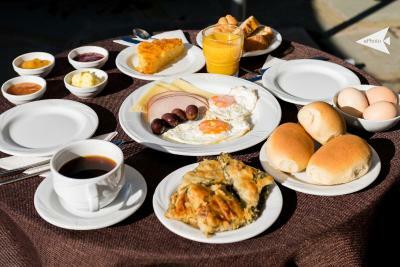 A Greek breakfast with handmade and local products is served every morning. 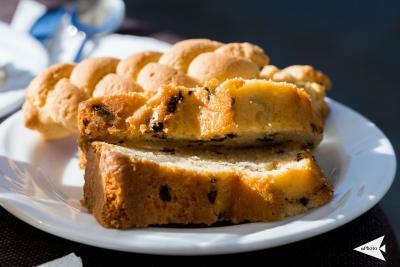 House Rules Villa Paroraia takes special requests – add in the next step! 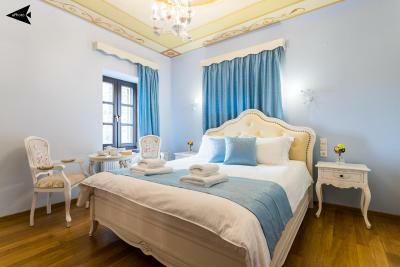 Villa Paroraia accepts these cards and reserves the right to temporarily hold an amount prior to arrival. It isn’t allowed to flush toilet paper down the loo. 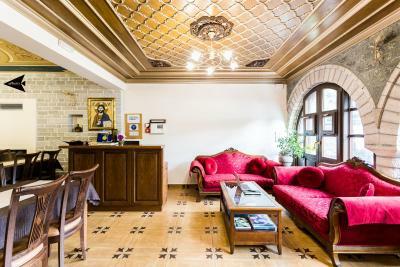 The reception area was a messy living room. Our room was not ready when we arrived after check-in time .